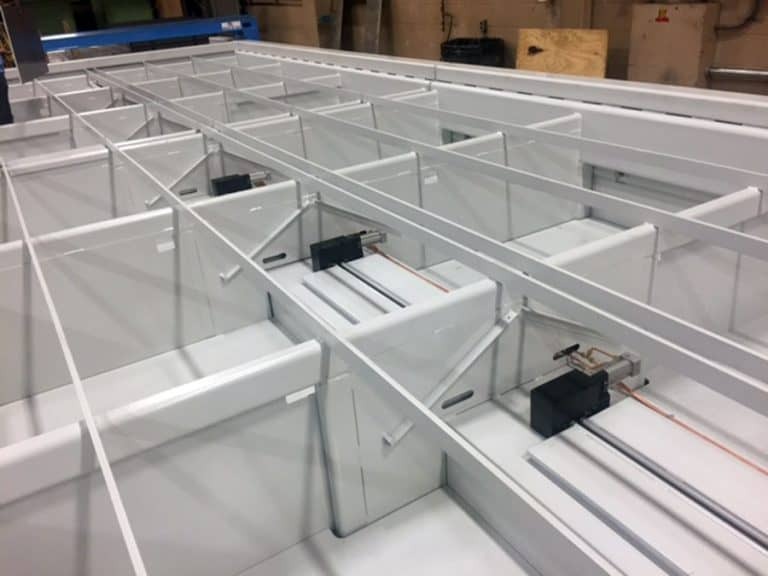 When fabricators understand the ins and outs of downdraft table dust collection systems, employee health and safety improve. 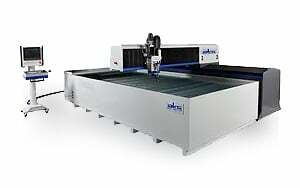 To manage the fumes produced from the plasma cutting process, a downdraft table is an efficient and effective solution. But, it also needs to be attached to a correctly designed dust collection system for it to do its job. To make the most of a plasma cutting table, it’s important to understand the ins and outs of the systems that keep employees safe while operating these essential pieces of equipment. 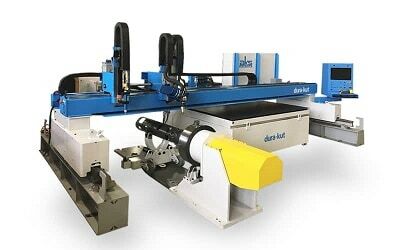 For plasma cutting, the surface of the table is a series of metal bars. Sheets of metal are placed on the surface and the cutting head moves over the metal, generating fumes, slag and scraps as it cuts. After the slag and solid material fall through, they are collected and removed from the space under the table. Fine particulates in the form of metal smoke and fumes, however, rise up from the cutting surface. 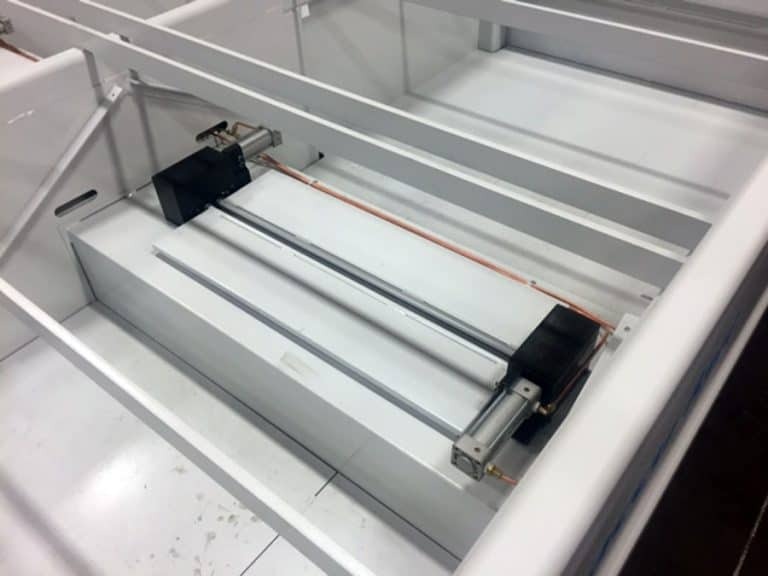 To keep the fumes from escaping into the air, a dust collector on a downdraft table constantly pulls air down through the table through filters to remove the metal fume particles. 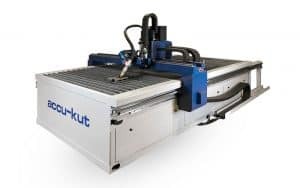 Many manufacturers of plasma cutting tables, including AKS Cutting Systems, choose a cartridge filter dust collector, such as the Imperial Systems’ Cmaxx, to partner with their cutting tables. Cartridges pack a lot of surface area into a small space. They’re cleaned by pulses of compressed air, which keeps them working well. While some baghouses also use compressed air to clean filters, a baghouse is not nearly as compact or easy to work with as a cartridge filter system. Another advantage of a cartridge filter system for downdraft tables is the high efficiency of cartridge filters. Nanofiber filters are rated at MERV 15, the recommended efficiency for capturing fine metal particles created by cutting and welding. Filters with a lower MERV rating many not be suitable for the sub-micron particles created by these processes. Capturing fumes from plasma cutting tables is important for health, safety and compliance issues, and the most efficient way to capture fumes is with a downdraft table with multiple zones. Because the zones allow the dust collection system to work only where it is needed, fabricators and manufacturers will save on energy expenses and see improved efficiency. By: Jeremiah Wann, president and CEO, Imperial Systems Inc.